She was one of the most remarkable vocalists of all time. Whenever Sarah Vaughan sang, whether at the beginning of her career or near its end, the reaction that she would often inspire in many listeners was amazement. What a voice she had! And as this release makes clear, she also had impeccable taste in picking the best songs to perform and record. 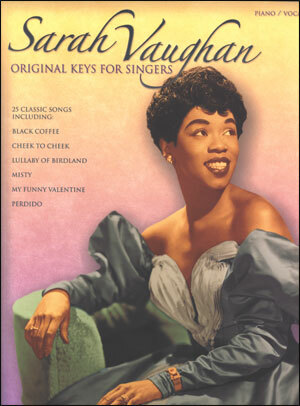 Sarah Vaughan (who was nicknamed Sassy) was born Mar. 27, 1924 in Newark, New Jersey. As a child she sang in church and had extensive classical piano lessons. From an early age, it was obvious that her voice was on a very high level. In 1943 after winning one of the famed amateur contests at the Apollo Theatre, she was hired by Earl Hines as singer and second pianist in his orchestra. 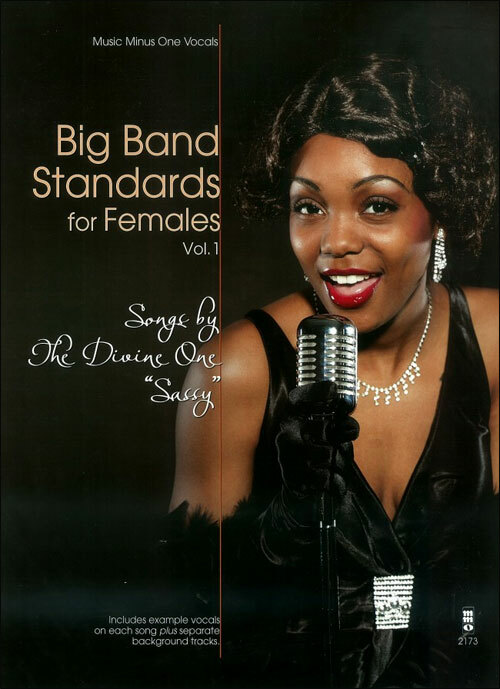 Her timing was perfect for at the time Hines’ big band was rapidly changing. Singer Billy Eckstine talked Hines into hiring trumpeter Dizzy Gillespie and altoist Charlie Parker (who played tenor with the orchestra), the two founders and innovators of the new bebop music. Vaughan had an opportunity to learn directly from the masters, and the influence of bebop would be part of her singing from then on no matter what the setting. Unfortunately due to the Musicians Union recording strike, no recordings were made of this pioneering bebop orchestra. In 1944 Vaughan followed Gillespie and Parker into the new Billy Eckstine Orchestra but, once again, the recording strike was a detriment. Vaughan only recorded one number (“I’ll Wait And Pray”) during her year with Eckstine. On Dec. 31, 1944, Sarah Vaughan cut her first four songs as a leader including “East Of The Sun” and a vocal version of Gillespie’s “A Night In Tunisia” that was called “Interlude.” Five months later, she recorded a few selections with Parker and Gillespie as sidemen. Sassy spent a few months during 1945-46 singing with the John Kirby Sextet and then launched what would be a very successful solo career. Still just 22, she signed with the Musicraft label and recorded mostly jazz-oriented numbers for the next two years, having strong successes with “If You Could See Me Now,” “Tenderly” and “It’s Magic.” After switching to the Columbia label in 1949, Sarah Vaughan expertly alternated commercial dates with hotter jazz sessions. Her popularity grew on a steady basis throughout the 1950s as she toured constantly, made many television appearances and recorded steadily. She was soon competing with Billie Holiday, Ella Fitzgerald, and Dinah Washington as not only the top female jazz singer but the top female singer in all of music. In 1954, Sassy signed with the Mercury label. Throughout the remainder of the 1950s, her commercial sessions were cut for Mercury while her more swinging dates were made for Mercury’s jazz subsidiary Emarcy. One of the most memorable albums was made in Dec. 1954, a date that co-featured the great trumpeter Clifford Brown. 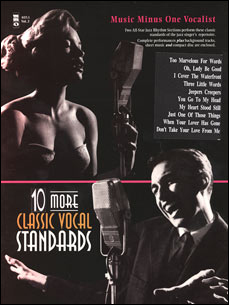 Among the songs that they recorded was the definitive version of George Shearing’s “Lullaby Of Birdland.” Every vocal version made of that song since then has been influenced by Sassy’s recording. 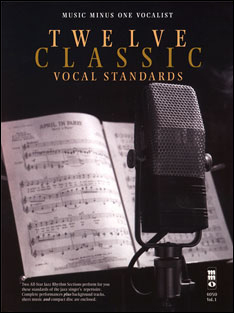 Three other numbers in this collection were recorded by Sarah Vaughan later in the 1950s. The saucy “Whatever Lola Wants” was waxed in Mar. 1955 with an orchestra. Erroll Garner’s “Misty,” a song that because of its wide intervals was once considered almost impossible to sing, was performed effortlessly by Vaughan while backed by the Quincy Jones Orchestra in July 1958. 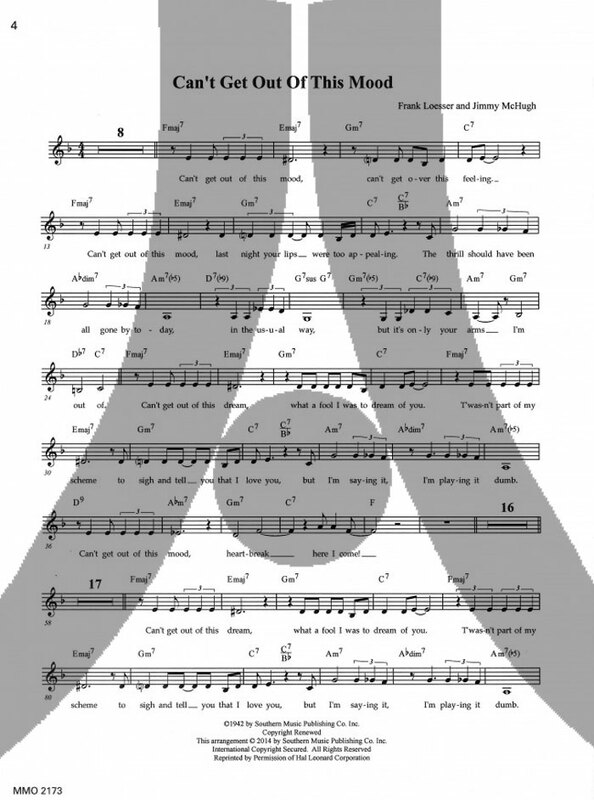 And the touching ballad “Moonlight In Vermont” was recorded with the Count Basie Orchestra in Dec. 1958. The other two songs on this set, Cole Porter’s “It’s All Right With Me” and Jerome Kern’s “Yesterdays,” were frequently performed by Vaughan through the years but surprisingly she did not get an opportunity to record them. During her long career, Sarah Vaughan never really had an off period. Her voice became deeper through the years without losing any of its power, range or brilliance. She toured for decades, drank and smoked, and sometimes got little sleep. Despite that, it did not really matter. Her voice was unaffected and remained wondrous, and her popularity never declined despite the gradual change in the music scene. Sassy remained in her musical prime throughout the 1960s, ‘70s and even in the 1980s. Sarah Vaughan remained active up until the end of her life. She passed away from cancer on April 3, 1990 a week after her 66th birthday. While there will never be another singer quite like her, Sassy’s recordings are still with us along with the timeless songs that she immortalized.